in the town square of Branchville. is also the number one seller of my books — by a wide margin. right across the Square from the book store. curated by George and Frances Delgado. 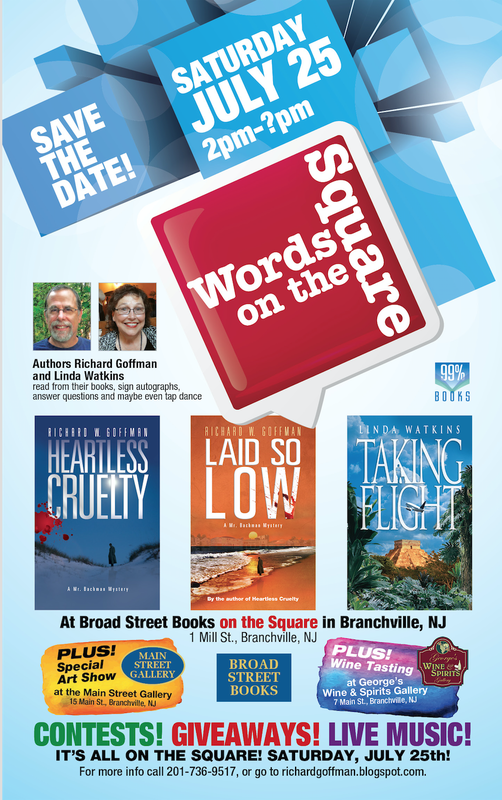 It’s all happening “on the Square” on Saturday, July 25, at 2:00pm. Previous Post Get LAID. So low.